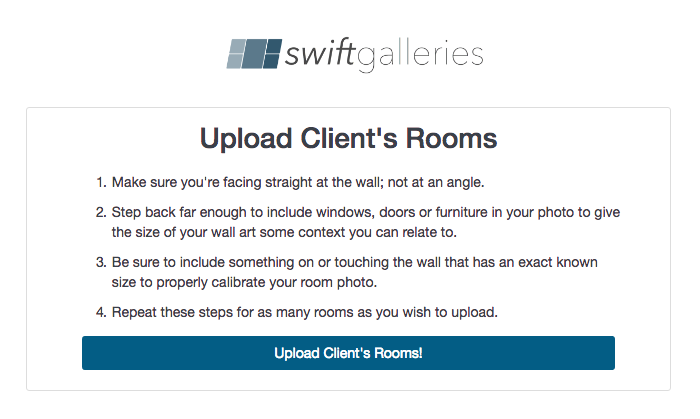 From the Rooms panel click on "Upload a Room Photo" to begin the process of uploading your client's room photo. 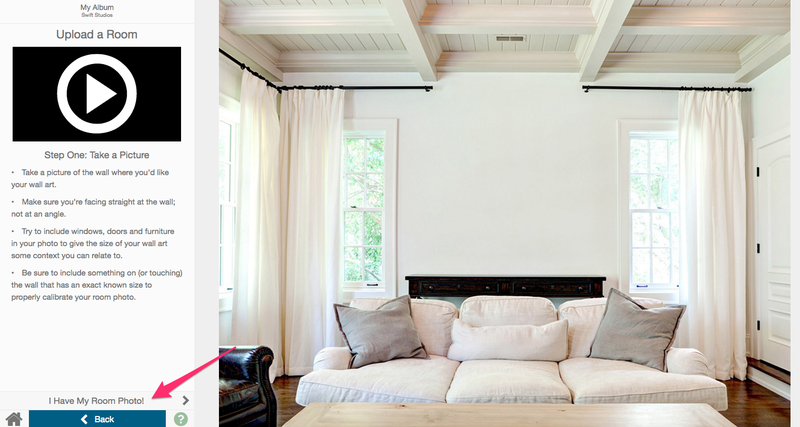 This first step clears the Designer (don't worry, your current gallery is saved and you can come right back to it) and gives you some instructions on how to take the room photo. Once you have taken the photo, click "I Have My Room Photo!" to proceed. Note: you may use a different device, such as your phone or tablet, to take the picture. We'll show you how to upload from there as part of this document. 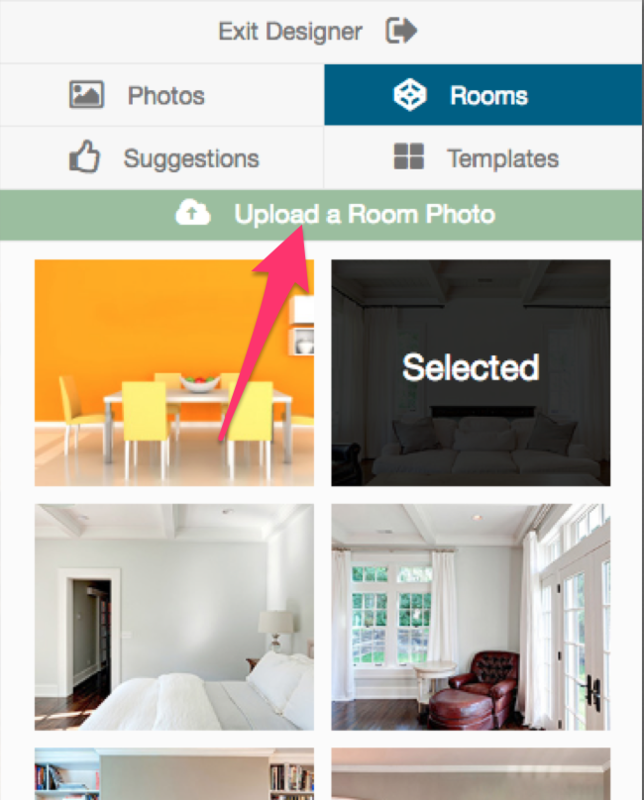 If you have the room photo on the device you're accessing the Designer with, click "Upload from Here". A file selector will drop down asking you for the file. Once you've uploaded the file it will redirect you back to the rooms panel. If the room photo is on a different device, click "Upload From Device". You'll be given a very long, complicated URL or the option to email yourself the link. 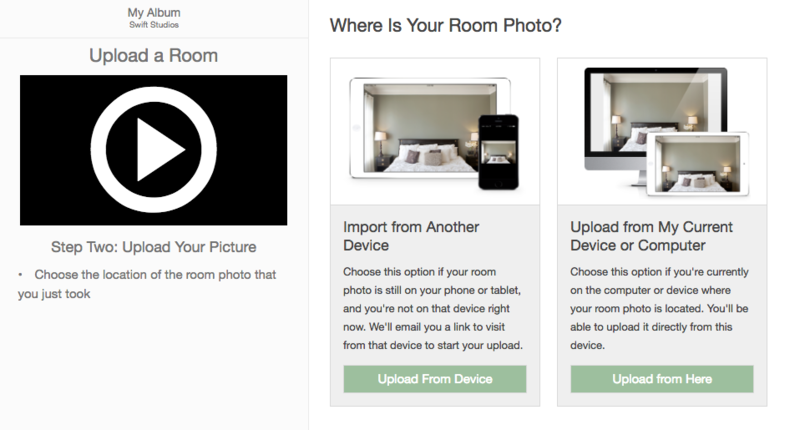 Click "Upload Client's Room" to be given the choice to choose the room photo on the device. Once uploaded, you'll receive instructions to go back to the Designer. Within the Designer, click "I'm Done Uploading" to be taken back to the rooms panel. It's now time to calibrate the room photo.